If you share a computer with someone else, you might not want that person to be able to check your Internet browsing history. That record is easy to erase, however, in all of the major browsers. Here's how to delete your browser history in Internet Explorer, Chrome, Firefox, and Safari. A useful keyboard shortcut for deleting your browsing history in Internet Explorer is Ctrl-Shift-Delete. If you press this combination of keys in a recent version of Explorer, you'll bring up a dialog box that lets you specify what you want to keep and what you want to purge. Simply check the boxes next to the history you want to remove, and then click Delete. Job done. Delete your Internet Explorer browser history. Chrome users have access to the same slick keyboard shortcut as Internet Explorer users. Press Ctrl-Shift-Delete in Chrome, and you'll see Google's options for deleting your browser history. As with IE, simply check the boxes next to the history items you want to clear, but be sure to examine the options available to you in the drop-down menu at the top. This menu allows you to specify how much of your history you'd like to delete. You can choose to excise the past hour, day, week, or month--or you can obliterate everything since the beginning of time. 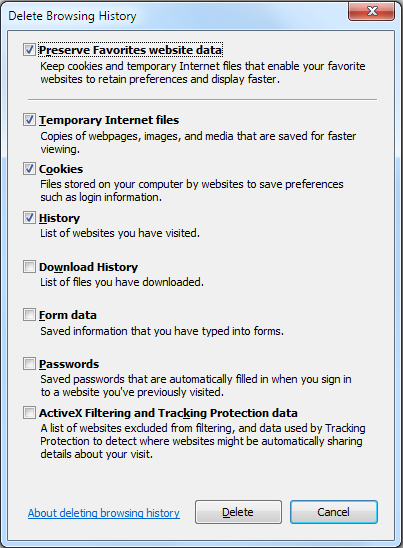 Clearing your browsing data in Google Chrome. Firefox fans, too, have access to the same keyboard shortcut for deleting browser history as IE and Chrome users: Press Ctrl-Shift-Delete to summon the history-clearing options that are available to you in Firefox. If you don't see a detailed list of what you can and can't delete, click the Details arrow to reveal the specifics. As with Chrome, you have the option of choosing a time range to clear. The options are a bit different, however. 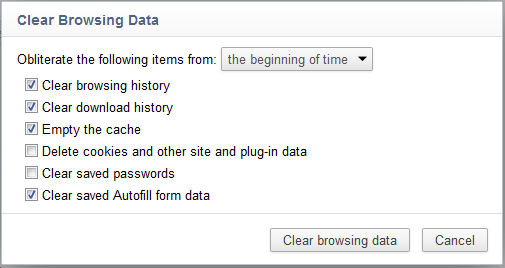 In Firefox, you can clear the last hour, the last 2 hours, the last 4 hours, the last full day, or your entire Firefox history. 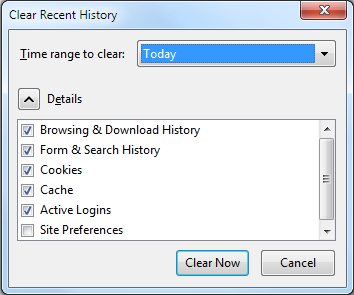 Clearing your recent history in Mozilla Firefox. Like most browsers, Safari has a ton of keyboard shortcuts, but it doesn't have one for deleting your browser history. Instead, click the gear icon in the upper-right corner, and select Reset Safari. In the resulting pop-up menu, check the items that you want to clear; then press the Reset button to purge your data. 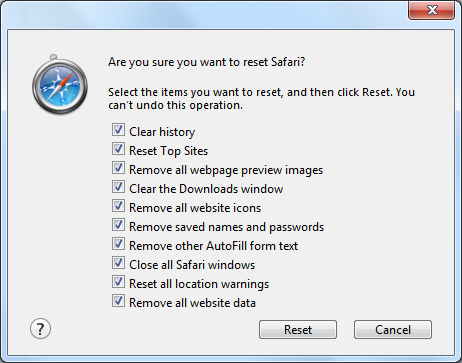 Resetting browser history in Safari.